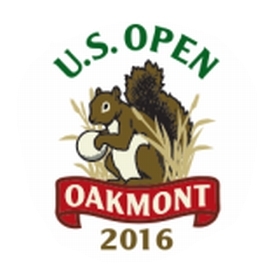 The U.S. Open Picks Are Up! The alphabetized picks and early round one standings for the year's 2nd major are on the site. We chose 27 golfers. We are down to six golfer teams because world #1 Aussie Jason Day is a unanimous pick. All but one us went with the All-American boy, Jordan Spieth. Young Irishman Rory McIlroy made it on to 14 teams. Thirteen of us like the American icon, D.J. Smilin' Matt Kuchar got 8 votes. Patrick Reed shows up on 6 teams. Phil Mick got the nod 5 times. Foreigners Justin Rose and Adam Scott are 4-baggers. Fowler, Matsuyama and The Bubba are treys. This week's deuces are Dufner, Willett and Grace. Twelve unique picks this week. Andrew, Chris and Mike M. have 2 each. Hugh, Bill, Dan, Oliver, Joe and I have one each. The remaining 7 players will not have a unique pick to watch hack it around in the Church Pews.